adidas today unveiled the D Lillard 2 edition of the Aurora Borealis collection to celebrate NBA All-Star Weekend in Toronto. The collection features two additional models including the D Rose 6 unveiled last week and the all-new Crazylight Boost 2.5. The footwear collection is inspired by Toronto's vibrant, cosmopolitan culture and the Northern Lights that paint the sky in upper parts of Canada. Engineered with glow in the dark styling and multicolor Primeknit, the models pair bright color palettes that blend gradient knit textures and purple accents to reflect the Aurora Borealis. For the first time in Dame's signature line, the D Lillard 2 is designed with a Primeknit woven upper and Boost cushioning. The upper features purple and pink gradient threads as a tribute to the glowing, radiant waves of the Northern Lights. The silhouette matches pink hits along the iced outsole, eyelets and signature details with purple tooling for a vibrant, bold finish. The D Lillard 2 ($115), D Rose 6 ($140) and Crazylight Boost 2.5 ($125) launch at adidas.com and select retailers on January 28. 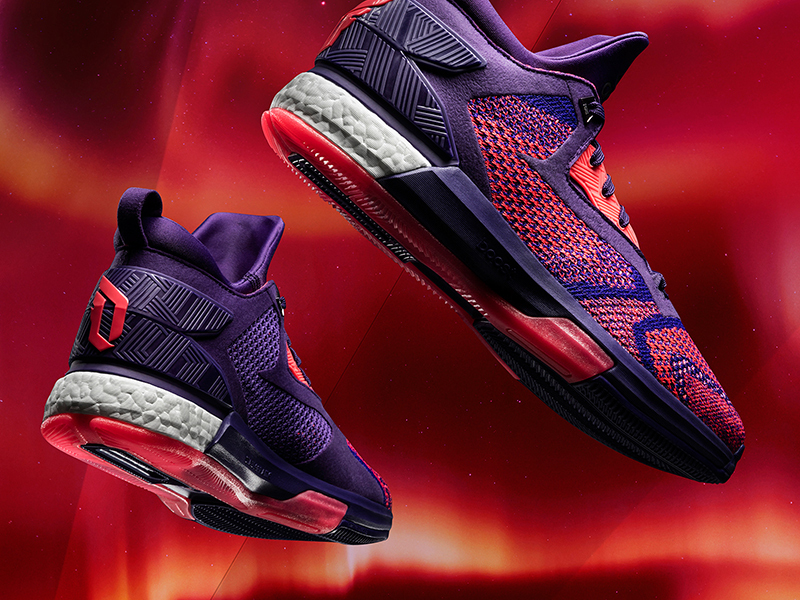 Join the conversation @adidashoops on Twitter and Instagram with #DLillard2, #DRose6 and #CrazylightBoost.